Rick Nini and his Corporate Eagle company have taken off. Over the past year, the provider of membership-based aviation programs has conducted more than 1,500 flights to 27 countries, with nearly 8,000 passengers. The company recently acquired four new Falcon 2000 aircraft, which each hold up to 10 passengers. The jets include LED cabin lighting, LCD wide-screen cabin monitors, a DVD player, a soundproofing package, Wi-Fi, and a phone system. 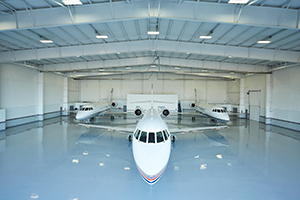 Other aircraft in the 12-plane fleet include an eight-seat Hawker 800XP and a nine-seat King Air B-200.